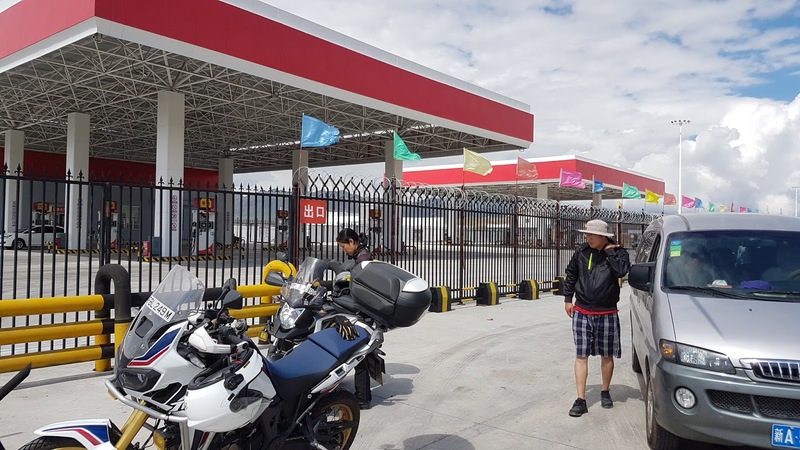 Our initial days in China were breezing across the new highways built to connect the border to Kunming. This road weaved thru tunnels in the mountains, popping out onto elevated highways, all ridden at 100km/h non-stop. This made me feel like I was in a sci-fi movie! The mountains gave new dimension to the phrase ELEVATION… on our big capacity bikes, we might climb non-stop in 3rd gear for 10 mins or more! On the other side, will be an equally long downhill and they thoughtfully provided run-away lanes to arrest the speed of trucks that have overheated brakes. 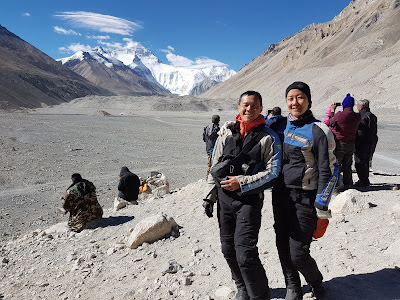 A couple of nights were spent on mountain passes at 3000m and 4000m to help acclimatise, and eventually we saw snow-capped peaks in the distance. 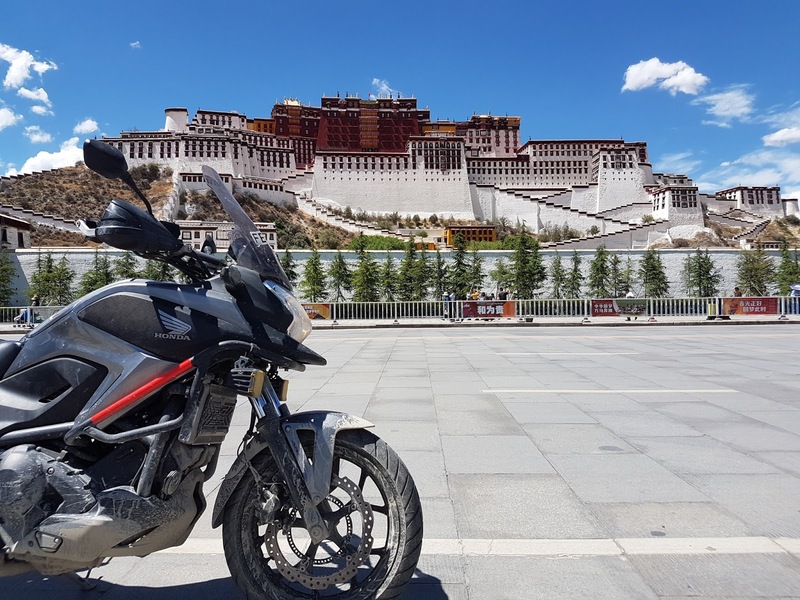 After 12 days of riding, we reached Lhasa. 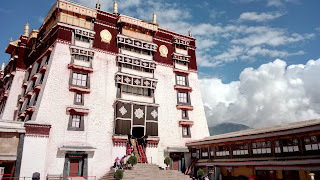 We took a walking tour of Potala Palace, which has an air of tranquility within the palace walls. We then rode onwards to Everest Base Camp, ascending to the highest point allowed by privately owned cars & bikes (Qomolangma Base Camp). By this time, we were close to 5000m altitude and some of us had to rest our palms on the engine block just to prevent cold cramps! 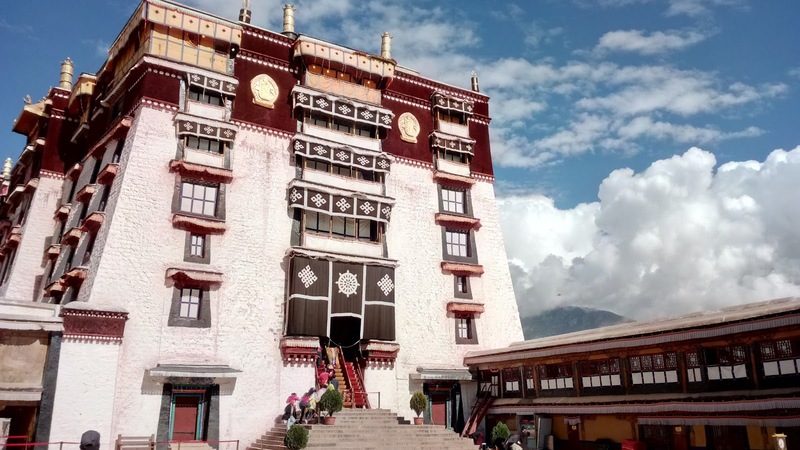 Went back to Shigatse for second stay, next was 5000m+ hotel and waking up to 3 degree air temp… riding into light snow that lasted for 2.5 hours! None of the us were prepped for snow and even the local guides said snow is rare for this time of the year. 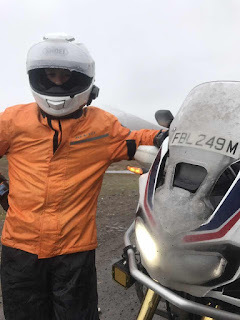 We reached Golmud, split from the main group and were introduced to our own guide that would take us onward to north China. 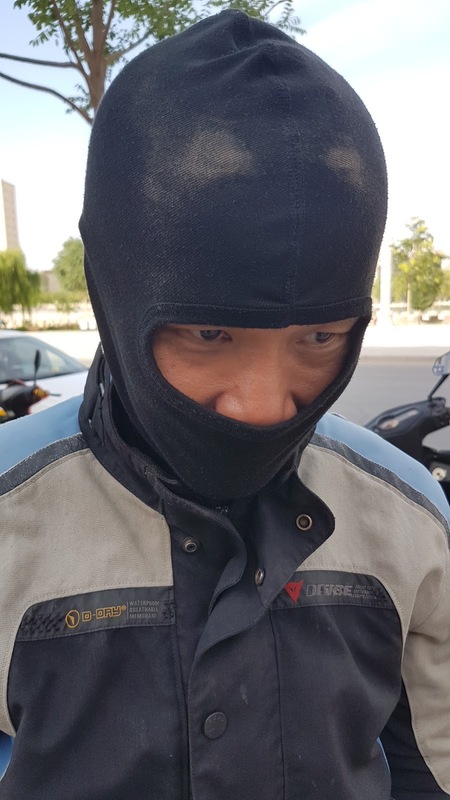 Mr Cai brought us through Akasai, a town with perpetual sandstorms. Had no choice but to refuel in a petrol kiosk that was being blown with fine sand!!! 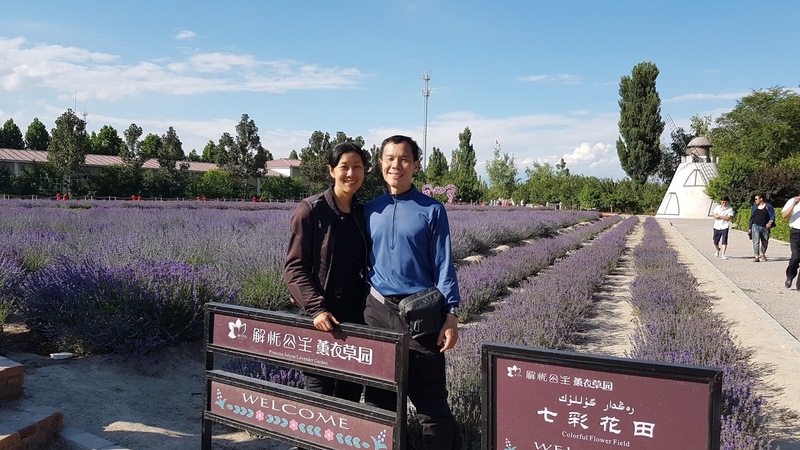 On reaching Dunhuang, we felt there was sand in everything! Our noses, keyholes of the bike, the fine sand seemed to go everywhere! In crossing the desert, we rode across the wind farms of China, reputed to be the largest. 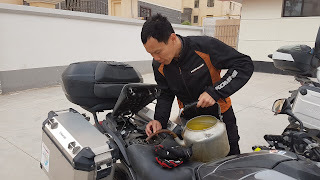 In the route between Hami and Turpan, 40kmh crosswinds threatened to push our bikes into the oncoming lane, and both bikes were fighting to stay upright. Outside Khorgas town we stopped at a lavender farm. Standing in the midst of the fresh blooms, it was really a smell from Heaven! 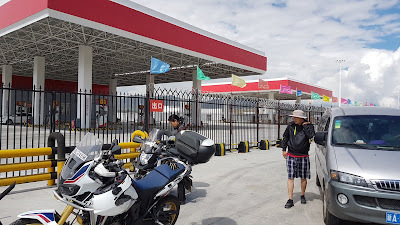 Weird and wonderful China continued to surprise, with the northern most town INSISTING that bikes remain outside the petrol kiosks. And in order to fuel up, we have to walk into the protected area with a local escorting us! Our last day in China, we rode across the most beautiful bridge connecting Khorgas to the border. At the border, our guide (Kevin) presented us with a gift of Uygher Naan Bread! Something so delicious, we wished we could pack for our friends back home!